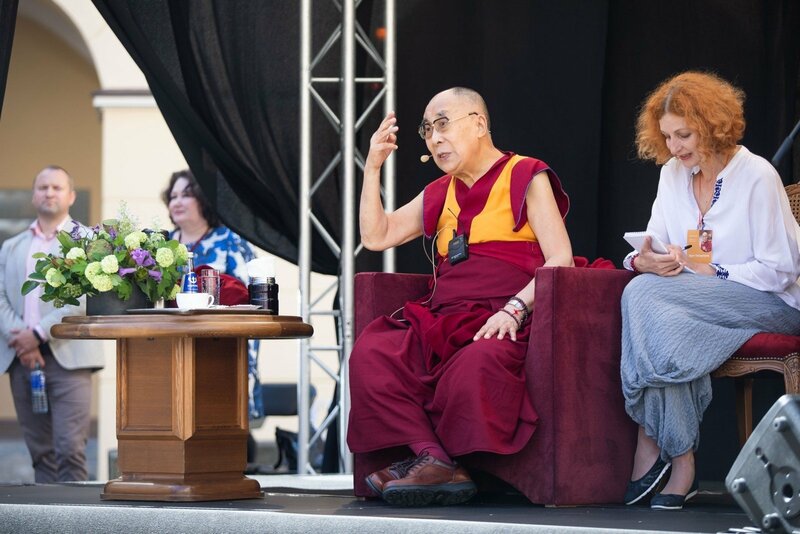 The Dalai Lama on Wednesday planted an apple tree in Tibeto Skveras, a small park in Vilnius named after Tibet, to congratulate Lithuania on the centenary of its restored statehood. With a crowd of several hundred people watching, filming and photographing, the Tibetan spiritual leader gave a speech and planted the tree with the help of his assistants in the capital's Uzupis neighborhood. One of the Tibetan monks accompanying the Dalai Lama tied a white khata, a Tibetan ceremonial scarf, around the tree. Lithuania this year marks 100 years since the Council of Lithuania on Feb. 16, 1918 proclaimed the restoration of an independent state of Lithuania. 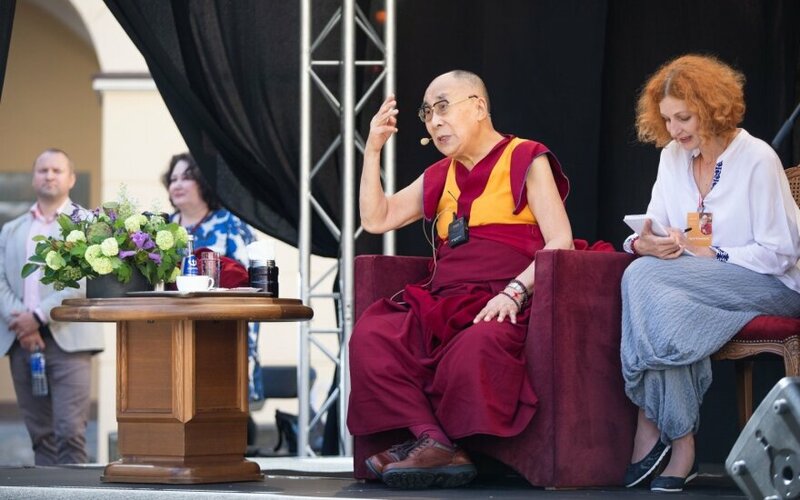 In his speech, the Dalai Lama, who is on his fourth visit to Vilnius, thanked the Lithuanians for their support to the Tibetans. "A small nation shows empathy to another small nation," he said. Tibet lost its autonomy from China back in 1951 after the Chinese army invaded the territory that had declared independence. Beijing maintains that it liberated Tibet, but many local people accuse the central administration of religious and cultural oppression. The Dalai Lama said that an increasing number of people, both in China and around the world, are interested in Buddhist culture. "Many Chinese already favor Tibetan Buddhists traditions, which are based not only on faith, but also on analytical meditation," he said.